Black Friday after Thanksgiving is a frenzy of day-breaking sales and promotions. Then Cyber Monday follows to promote electronic gadgets and technology growth, each of these events calculated to increase holiday spending and corporate profits. GivingTuesday after Thanksgiving was created to help bring back the holiday spirit of giving and sharing, and has become a national day of giving. GivingTuesday is a response to the commercialization and consumerism designed to encourage charitable giving to non-profit organizations and causes as a way to help benefit those people and programs in our community that need assistance. GivingTuesday this year will be December 1st. 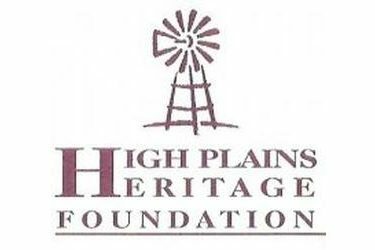 The High Plains Heritage Foundation (HPHF) is one entity serving southwest Kansas and the Panhandle region for the benefit of various causes in our area communities. As an IRS recognized charitable organization, the Foundation maintains a Heritage Community Fund to benefit the area. Donations to the Heritage Community Fund marked GivingTuesday will be used to address those problems and opportunities in the communities of our area. The Foundation can be reached at [email protected] or by mail at PO Box 1278, Liberal, KS 67905.